“There is no secret ingredient,” Mr. Ping says to his adopted son Po in Kung Fu Panda (2008). Koreans and Korean Americans behind the scenes of popular animated movies agree that there is no secret ingredient to their success, which is simply the result of their passion for the creative process and staying close to their Korean roots. 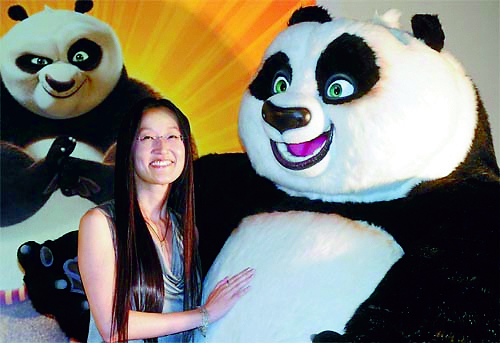 Jennifer Yu Nelson joined DreamWorks Animation as a story board artist where her reputation as a soft-spoken yet passionate creator grew quickly. Frequently, Nelson would be found allowing her drawings to speak for her. However, Nelson was vocal about works she was passionate about, especially when she asked to be apart of the Kung Fu Panda production team. “I think there’s a very strong sense of family and closeness to the parents, and just that sense of community,” Nelson said of the movie franchise in an interview with Variety, not to mention her love of the martial arts and animation in the film. As the Director of Kung Fu Panda 2 (2011), Nelson chose to focus on the character Po rediscovering his childhood, relating his journey to her journey of accepting her Korean heritage. “For me, being raised in the U.S., when I went back to Korea for the first time since I was a kid, was quite eye-opening. To see so many people that looked like me, to see things that I’d never thought I was missing…It was kind of bizzare. And yet there are things about me that’s totally different from people there. Po goes through the same thing when he goes [home]. There are similarities but there is also a difference and that feeling that Po got is how I felt,” Nelson admitted in a Q&A with the Center for Asian American Media (CAAM). Nelson later became the first woman to be nominated for the Academy Award for Best Animated Feature Film and win an Annie Award for her role in Kung Fu Panda 2. Born in the Bronx and raised by Korean immigrant parents in New York City, Peter Sohn began working at Walt Disney Company and Warner Brothers while attending the California Institute of the Arts (CalArts). Sohn began his career working with Pixar in the Art and Story Department in major animated films such as Finding Nemo (2003), The Incredibles (2004), Ratatouille (2007)(voicing Emile) and Wall-E (2008). Sohn made his directoral debut in the 2009 when he animated short film Partly Cloudy (2009) while also co-directing the English-language version of Ponyo on the Cliff by the Sea (2008). Most recently, Sohn directed The Good Dinosaur (2015), also voicing Forrest Woodbush in the film. Sohn was also the inspiration for the character Russell in Pixar’s Up (2009). Film Director Pete Doctor had Sohn in mind when creating the memorable character in the enthusiastic 8-year-old Wilderness Explorer. “He’s just such an entertaining guy,” Doctor said of Sohn. Yong Duk Jhun believes in the power of laughter to change everything and relieve stress. In a TEDx Talk at Han River, Jhun laid out how he keeps himself energized from studying industrial design at the University of Seoul and computer animation at New York University to working full-time in the animation industry. 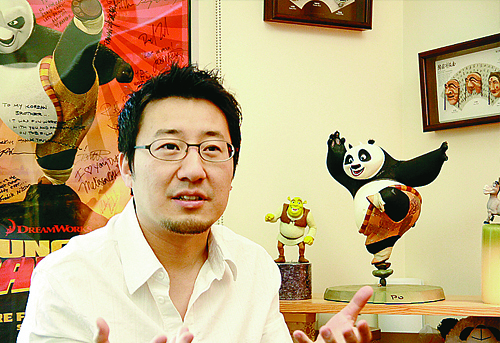 As a member of the layout team at DreamWorks since 2003, Jhun has overseen the making of various animated films, including Over the Hedge (2006), Monsters vs. Aliens (2009), Shrek Forever After (2010), and Kung Fu Panda 3 (2016). As the only Asian among 5 heads of Layout, Jhun is passionate about growing Korean inclusion in the animation industry. Out of 1,700 employees of DreamWorks at the moment, about 300 are Koreans which, Juhn believes, is for their diligent and responsible qualities. Yee Won Cho was incredulous that she had landed her dream job working at a world class animation studio. Studying at the School of Visual Arts in New York, Cho spoke about the transformation of the Big Apple on her life. Cho soon found herself working on projects such as Up (2009), Toy Story 3 (2010), Brave (2012), Monster University (2013), and Finding Dory (2016). Cho’s ultimate dream is to make an animation that can be “enjoyed by all people around the world” by something she discovers in Korea. “To make something special, you just have to believe it’s special,” Mr. Ping said triumphantly in Kung Fu Panda. Agreeing with Mr. Ping’s wise words, Jennifer Yu Nelson, Peter Sohn, Yong Duk Jhun, and Yee Won Cho believe in the gift of the creative process to uplift and reveal.